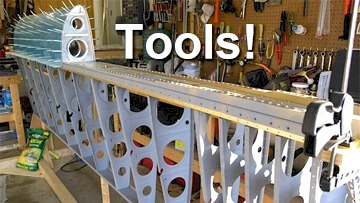 9/14/2010 - Time to drill some holes in the panel! 9/19/2010 - The Switch/Breaker kit has arrived! This big wire provides the positive power between each buss bar in the switch and breaker series. This is the first step in the harness hanging adventure. These wires are hung according to the wiring drawing. Each wire has an identifying tag label on it. Today I finished up hooking the wires to the flap switch and clecoed the panel back into position. Nerve racking but fun! Pretty simple thing to do. 3/7/2011 - Time to hang some avionics!